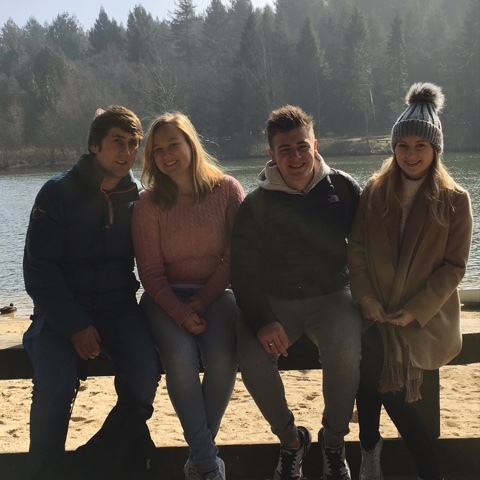 I thought that I would share with you guys my little long weekend trip to Center Parcs that I went on last month because, let's face it, who doesn't love Center Parcs?! We started off our trip on a lovely and sunny Friday morning from Bristol to Bath with a good old sing a long in the car. 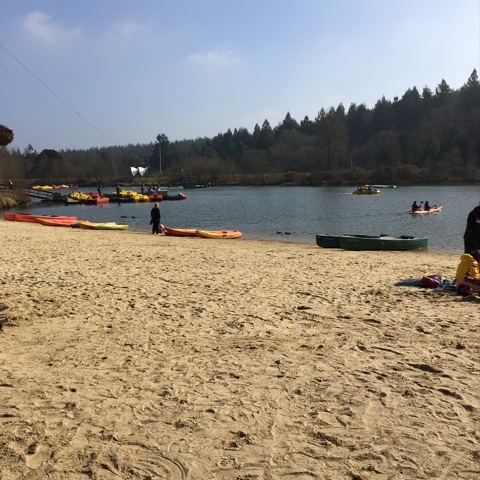 About an hour and a bit later we arrived at Center Parcs and I literally could not contain my excitement! 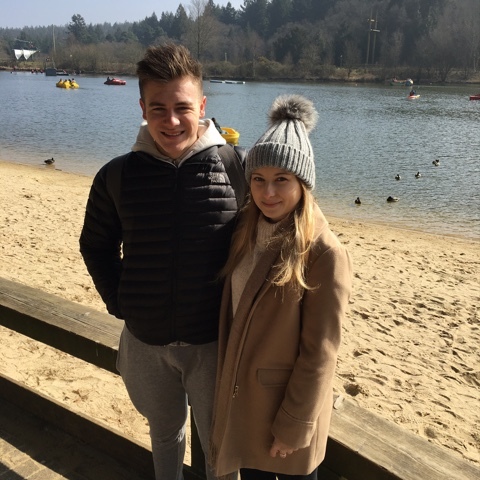 We were staying in Center Parcs Friday through to the following Monday and it was so nice to get away from everything - especially work. On our first day we just settled in and watched telly, grateful to be relaxing. I think I was even watching the Disney channel - Phineas and Ferb was on and I just love that show. In the evening, it was 'fajita friday' and what a good bloody evening that is right? 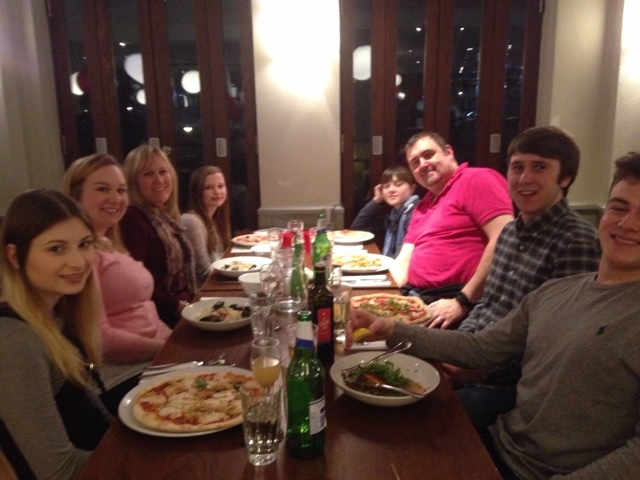 It was such a nice evening with my boyfriend's family and it was really lovely for us to all be together. Saturday was the day where everything got quite competitive whilst playing Badminton. I've inserted above a little action shot of Kieran an I *trying* to play and I think it's fair to say that our team lost.. Let's just say that we weren't bad at it, it was just that the other's were better? 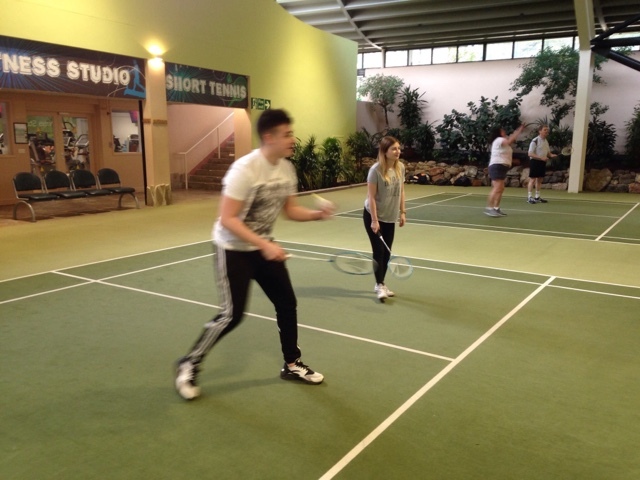 It was so much fun though and now I really want a Badminton court in my back garden. 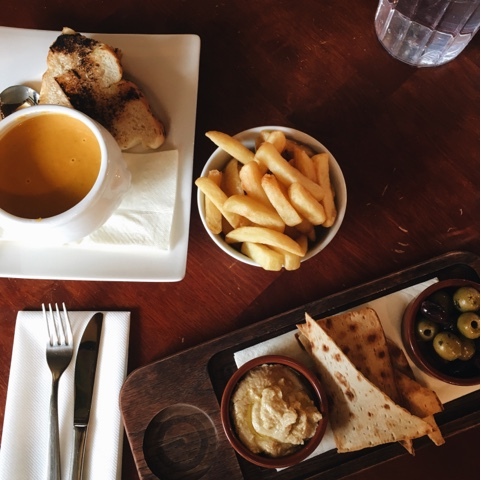 We decided to go to the Grand Café for a light bite to eat for lunch - Kieran had Carrot & Coriander soup and I treated myself to toasted Pitta slices with Hummus and Olives accompanied by a side of chips. In the evening we strolled on over to Strada for some dinner and I treated myself to a Peach Bellini (which, by the way, is super yummy). After dinner, we went back to our lodge and watched a film before hitting our head's on the pillow and falling straight to sleep. On Sunday we woke up and it was really lovely and sunny which instantly put me in a very good mood. My mood that day was also greatly helped by the fact that we ate lunch at the one and only Pancake House (insert heart eyed emoji). If you've never heard of the Pancake House then I definitely recommend trying it out - you really won't regret it! Today was also the day of 'picture posing time' - we took full advantage of the sun being out, of course. P.S. I really am this short.. I'm so annoyed at myself that I didn't get any photo's of us all playing Crazy Golf! This game definitely got a little heated and I think you'll find that a little bit of cheating occurred *ahem, Kieran*..
Crazy Golf was so much fun and I actually won out of our team of four (pictured above) so I did actually beat Kieran even though he tried to cheat a couple of times! So I may not be too great at Badminton, but hey I can win a game of Crazy Golf so all is good. In the evening, Kieran and I were supposed to go for an Indian but unfortunately Kieran was feeling a little under the weather so we settled with jam toast instead and went to bed pretty early. 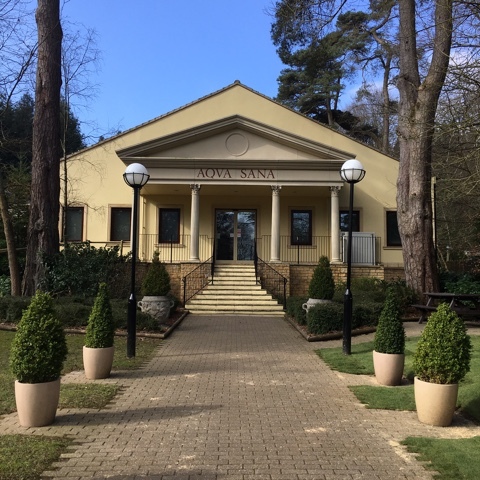 It was our last day on Monday (always a sad day..) and Kieran and I decided to treat ourselves to a peaceful little spa day which was so relaxing and a great end to the holiday! Neither of us had ever been to the Aqua Sana before but I can imagine that we will definitely be going back. 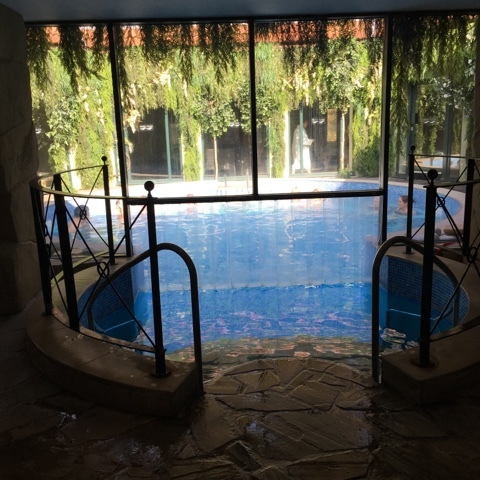 We decided against having treatments as they were a little too expensive for our small budget, so instead we had 3 hours of use of the spa area which included this cute jacuzzi pool that is sort of in a courtyard outside, along with multiple steam room's and a large sauna. We also had lunch in the Vitale Café which was actually quite a weird experience as everyone was eating in their robe's with their swimming wear on underneath.. I found it quite strange because we were also all sat with no shoes on. It may not seem weird to you guys but for some reason it was for me! After our 3 hour session at the spa it was time to drive back home and resume life as normal - with no rapids, no sleeping in, no staying up late and certainly no spa's. I had such a fun time and I will definitely continue to go back to Center Parcs year after year. I would love to go to the other Center Parc's located over the UK and see how they all differ from each other and decide which one is my fave. So that was my trip to Center Parcs, I hope you all enjoyed having a little nose and finding out what I got up to. P.S. 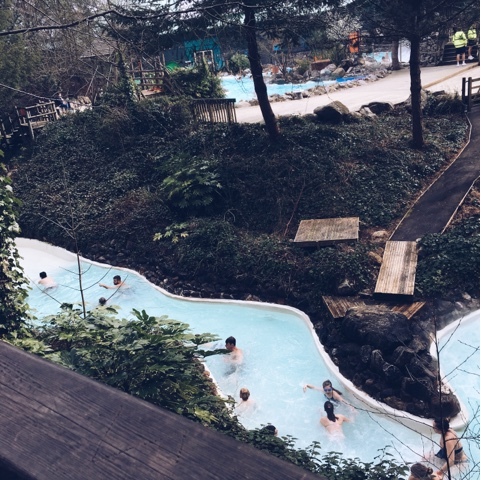 How many times did I say 'Center Parcs' in this post?! Seems like you had a wonderful time! Thanks for sharing! Sounds like you had such a nice time - I'm off to Centre Parcs this summer, so excited! Looks like you had a really lovely time!